Karnataka’s JD(S)-Congress government would waive farm loans amounting to Rs 10,000 crore, including interest, taken by farmers across the state, said an official on Monday. The decision on the loan waiver was taken at a meeting chaired by Chief Minister H.D. Kumaraswamy and attended by Co-operation Minister Bandeppa Khashempur, Agriculture Minister N.H. Shivashankara Reddy and officials of various departments. “The Chief Minister (who holds the Finance Department) will announce the modalities of the waiver on July 5 when he presents the budget for 2018-19,” said the official. “The loan waiver is aimed at providing relief to lakhs of farmers and their families who have been reeling under debt and crop failure due to droughts across the state over the last couple of years,” said the official quoting Kumaraswamy’s remarks at the meeting in the state secretariat. “It is not how many days or months our government survives but what it does during its rule to the people, including farmers and the poor. 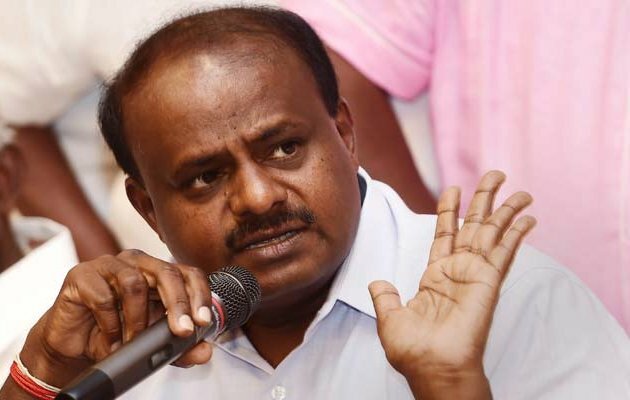 All stakeholders, especially officials, leaders of the coalition partners, ministers and legislators should work for the state’s development than worry about the government’s fate,” said Kumaraswamy. “I don’t want a privilege notice or motion against me from the new MLAs in all the parties, including the JD(S), Congress and BJP,” said Kumaraswamy.